Dental bonding is referred to as a procedure where small imperfections on tooth are corrected. In this procedure, a tooth-colored resin material (a durable plastic material) is used to apply on the teeth. For proper bonding, the procedure makes use of a special light to harden this material. This helps to improve or restore the smile appearance. Preparation: Dental bonding requires little advanced preparation. Unless, the procedure involves bonding to fill a decayed tooth, the use of anesthesia is restricted. A composite resin is so chosen, by the dentist in order to match the tooth colour. Bonding Process: The next step involves creasing of thetooth surface. Later, a conditioned liquid is applied on the surface. This is done to bond the material which is used to support the tooth. Accordingly, the tooth coloured putty-like resin is applied, moulded and flattened to attain a perfect shape. In order to harden the resin material, an ultra violet light or laser is used. Afterwards, the resin material is trimmed to the desired shape and properly polished to match the existing teeth. Time-to-completion: A single tooth bonding takes a duration of 30-60 minutes. Advantages: Among other cosmetic dental procedures, the dental bonding is regarded to be the easiest and least expensive. Different types of covering such as veneer, crowns, etc are used. Being customized tooth coverings, these are required to be manufactured in a laboratory. Unless a number of teeth are involved, the bonding procedure can be completed in a single clinic visit. When compared with veneers and crowns, this procedure removes only least quantity of tooth enamel. 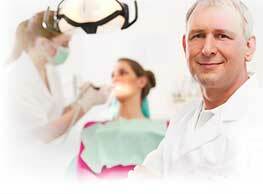 Use of anesthesia is not required, unless the dental procedure holds the cavity filling. Disadvantages: Even though the dental bonding procedure makes use of stain resistant material, but still stains or crowns are not resisted. These materials possess short life, which adds to its disadvantages. Unlike other restorative procedures like fillings or crowns, these bonding materials possess short life and are not much stronger. Special dental care is not needed on bonding teeth. It only requires good oral hygiene practices, brushing twice a day, flossing once in a day, and regular dental check-ups. Depending upon the rate of bonding done and the oral habits of the individual, the lifespan of the bonding material varies greatly. A normal bonding procedure requires material replacement only after a duration of 3 to 10 years.